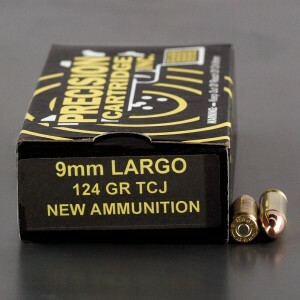 9mm Largo ammo is a bit unknown in the United States. 9mm Largo was born in Spain way back in 1903. The round is a 9x23mm round, slightly longer than the standard 9x19 NATO rounds. The 9mm Largo round was considered to be quite potent in 1903, especially for an automatic pistol. The adoption of the Pistola Bergmann de 9mm modelo 1903 was quite revolutionary. The automatic pistol was still in it’s infancy in 1903, and Spain was adopting one before the United States. Despite similar case dimensions, 9mm Largo should not be confused with 9x23 mm Winchester load, which has thicker walls and is much more potent. While the 9mm Largo was originally designed for pistol it did find it’s way into a few different carbines --- Most notably, a rifle toting the intimidating title of the ‘Destroyer Carbine’. It has been more popular in Latin American countries, especially Mexico where any caliber used by the military is banned. Largo round also went on to serve with the Danish Military, and was in service to 1935. The 9mm Largo has directly influenced the very powerful 9 x 23 Winchester, a round utilized for competition shooting. Great ammo, bought for a friend with an Astra pistol. He was happy to finally be able to shoot his keepsake gun.